In 1845-47 and again in 1849-51 Mr. (later Sir) A. H. Layard carried out a series of excavations among the ruins of the ancient city of Nineveh, “that great city, wherein are more than sixteen thousand persons that cannot discern between their right hand and their left; and also much cattle” (Jonah iv, II). Its ruins lie on the left or east bank of the Tigris, exactly opposite the town of Al-Mawsil, or Môsul, which was founded by the Sassanians and marks the site of Western Nineveh. At first Layard thought that these ruins were not those of Nineveh, which he placed at Nimrûd, about 20 miles downstream, but of one of the other cities that were built by Asshur (see Gen. x, 11, 12). Thanks, however, to Christian, Roman and Muhammadan tradition, there is no room for doubt about it, and the site of Nineveh has always been known. The fortress which the Arabs built there in the seventh century was known as “Kal’at-Nînawî, i.e., “Nineveh Castle,” for many centuries, and all the Arab geographers agree in saying that tile mounds opposite Môsul contain the ruins of the palaces and walls of Nineveh. And few of them fail to mention that close by them is “Tall Nabi Yûnis,” i.e., the Hill from which the Prophet Jonah preached repentance to the inhabitants of Nineveh, that “exceeding great city of three days’ journey” (Jonah iii, 3). Local tradition also declares that the prophet was buried in the Hill, and his supposed tomb is shown there to this day. So for nearly two thousand years has the haunting memory of the once-powerful city pervaded Christian literature, while its broken walls and ruined temples and palaces lay buried deep in desert sand. The history of the ancient land of which it was the capital survived in but meagre and fragmentary form, mingled with accumulated myths and legends. A slim volume contained all that could be derived from references in the Old Testament and the compilations of classical writers. To thee I cry, O lady of the gods, Lady of ladies, goddess without peer, Ishtar who shapes the lives of all mankind, Thou stately world queen, sovereign of the sky, And lady ruler of the host of heaven–lustrious is thy name… O light divine, Gleaming in lofty splendour o’er the earth–Heroic daughter of the moon, oh! hear; Thou dost control our weapons and award In battles fierce the victory at will– crown’d majestic Fate. Ishtar most high, Who art exalted over all the gods, Thou bringest lamentation; thou dost urge With hostile hearts our brethren to the fray; The gift of strength is thine for thou art strong; Thy will is urgent, brooking no delay; Thy hand is violent, thou queen of war Girded with battle and enrobed with fear… Thou sovereign wielder of the wand of Doom, The heavens and earth are under thy control. We do know, however, that after the death of Germanicus there was formed at Rome, in the imperial family and the senate, a party of Agrippina, which began an implacable war upon Tiberius, and that Tiberius, the so-called tyrant, was at the beginning very weak, undecided, and vacillating in his resistance to this new opposition. His opponents did not spare his person; they did their best to spread the belief that the emperor was a poisoner, and persecuted him relentlessly with this calumny; they were already pushing forward Nero, the first-born son of Germanicus, though in 21 A.D. he was only fourteen years old, in order that he might in time be made the rival of Tiberius. 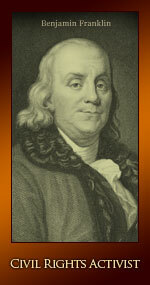 The latter, indeed, tried at first to moderate the charges of high treason, his supreme defense; he feigned that he did not know or did not see many things, and instead of resisting, he began to make long sojourns away from Rome, thus turning over the capital, in which the praetorian guard remained, to the calumnies of his enemies. Of all these enemies the most terrible was Agrippina, who, passionate, vehement, without judgment, abused in good faith both the relationship which protected her and the pity which her misfortune had aroused. She allowed no occasion for taunting Tiberius with his pretended crime to escape her, using to this end not only words, but scenes and actions, which impressed the public even more strongly than open accusations could have done. A supper to which Tiberius had invited her became famous at Rome, for at it she refused obstinately and ostentatiously to touch any food or drink whatever, to the astonishment of the guests, who understood perfectly what her gestures meant. And such calumnies and such affronts Tiberius answered only with a weary and disdainful inertia; at most, when his patience was exhausted, some bitter and concise reproof would escape him. This energy encourages you to see the Divine Order or the unifying theme running through the events of your life ~ good, bad & indifferent as well as past, present & future. This is an initiation of new values around communication, self-expression and the value of your ideas. You may finally be able to express ideas that have been percolating in your head, some people say “I love you” at this time, or articulate their feelings in deeper, more expressive ways. It’s really *juicy* for your Inner Artist, this is the beginning of expressing your creative ideas in altogether new & different ways than ever before. Allow your Imagination to free-flow. Play with ideas with no attachment to outcome. Take advantage and explore all that this energy stirs within you, but don’t give in to over-thinking/processing things. These connections are richer, giving you access to deeper personal growth & development through a new understanding of how all the events of your life work together for good, ultimately. You can see the necessity of certain challenges and clearly see your own personal mastery thus far. Celebrate and choose to create some new thought patterns that integrate and reflect more beauty throughout your life. Mercury Retro is the best time to pull back and do a personal review and process all that’s come up in the last 3-months. Because it’s in Aries, this go-round has to do with what you have recently initiated. It’s time to review what you really want and fortify your mental resilience. Look for ways you may not be following your instincts and set intentions for more independent thinking going forward. It’s time to do self-preservation on many levels. Take this time to review, revise & reflect. This activation brings intensity and it challenges you to grow (out of comfort zone, into new territory) where your relationships & finances are concerned. You’ve probably already felt it coming (the shift in your relationship or financial situation), well, it’s here now, so you can be proactive on your own behalf or you can suffer the consequences of postponing the inevitable. (You may have heard me say: Pay now or pay double later. That applies to this transit too.) The natural reaction may be to try to hold on to the job or relationship but try not to give in to that temptation. Pluto intensifies everything and the more you resist the necessary purification & change that Pluto brings, the more painful it usually is. It is better to clarify your values & priorities and choose change, rather than have it forced (more Pluto) upon you. Either way, once the dust settles, you should be better off because things either change for the better or go away altogether making room for something new and more in alignment with your values & priorities of ‘now’. This is a challenge about your energy and how to direct it properly. You started something about 6-months ago that now challenges who you are and what you want, so adjustments must be made. It’s not a good/bad thing, just a test to get out of your comfort zone and into new territory. You are supported to get your true desires congruent with what/who you present to the world. As you develop that, often the first things that come up are what’s not working. It may seem as if the Universe, and a couple of humans for good measure, will be pointing out your weaknesses, short-comings, lack of preparation and mistakes you’ve made. Be careful not to take things personal, but keep in mind that if it’s being brought into your awareness, you can learn from it. Keep self-preservation in mind, and be compassionate with others struggling with their own identity issues at this time. This is energy that needs a positive, physical outlet too. If you can channel it through physical exercise or an activity you love you may find that the *Moving Meditation* opens you up to better choices and more authentic decisions, while denial & suppression only lead to disappointment, illness or accidents. With the arrival of the spring equinox this week, (in other word’s the sun’s move into gallant Aries) we can expect an exciting, revitalised mood where love is concerned. 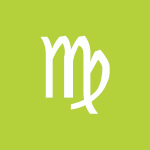 With Mars moving into serious Capricorn, we may feel we can’t step out of line and must follow the rule-book. However, as long as we don’t let convention take over from personal feelings, we’re all going to be committed to playing the game of romance. With your ruler moving into time-keeper Capricorn, you realise that however far away someone is, or for however long you don’t actually see them, the power of love permeates time, place and space. The special ones who have moved away are still with you in spirit and soul. So don’t give up on them – they have their lives to live too. While a partner or lover may appreciate your confidentiality, they may not be quite so keen on what you’re about to tell them. Think about it a little before you tell all. It’s not often you get a chance to speak up frankly and get the kind of response you want, but you will if you are honest and true to your desires. You’re ready for a romantic challenge, but you really don’t want to put your foot in it where loved ones are concerned. You have as much right as everyone else to organise your life, and you don’t need their approval or consent. Get on with doing what you really know in your heart is right for you. Your crusade for self-value is going well, and the memory of all the tears you have wept in the past has begun to cure any love blindness. See that what you get is what you get, and nothing more, nothing less. Love can then evolve, grow, change and you, happily, with it. Identify what your love priorities are, and don’t let those good intentions slip. Sometimes you just have to do what’s right for you, so forget about any guilt-trips others are hanging on you. You have to make your own journey and that’s about being devoted to your romantic future, and not looking back. You’re searching for something right now but you’re not sure what. Perhaps to to feel that you belong to someone or something, or even just to yourself? In fact, this strange uncertainty is nothing new. You’ve felt it before when you wanted desperately to be loved by someone. Time to redress the balance. Sometimes, we tend to think others belong to some kind of private ‘club’, and we’re not sure if we want to join it or not. With the sun moving through your opposite sign, you can at last follow the road to the club to which you truly belong and enjoy meeting yourself and someone special too. Time to listen to the melody played between the romance and the ordinary. Here is a place which is self-evolving and guiding you to know yourself and what love means to you. This is your time to enjoy this secret place. In fact, maybe it’s time to share it with someone else too? When desire begins to turn to love, it actually makes sense. And between the cosmic love you have for mankind and the romantic comedy you share with another, there is you. So make this a week for passion, self-awareness, and knowing that long-term love for you is about friendship first, and independence second. Now you’ve seen a way to progress in one love relationship, don’t listen to all kinds of rubbish about why you can’t go down that particular route. And really, if you’ve spotted a way to create a more harmonious lifestyle, then be the first to sit down and talk it through. Avoid going round in circles just because others are so negative. The sun moving into fiery Aries marks a turning point for you where you can start to realise your relationship goals. All it takes is focus and self-belief – maybe a journey into yourself too? – but check the sign-posts along the way and where they are leading you. Getting stuck into routine activities could actually be to your advantage. Of course you’d rather devote your time to more romantic matters, but there really are no excuses for avoiding everyday tasks. That way you’ll be ready for the romance, love and gratitude that’s coming your way. 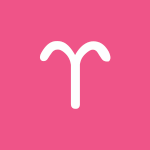 In many ways, you’re in a good position to slow down and enjoy the moment today, dear Aries, with the Moon in your resources sector all day. Even so, you may do some battle with restlessness or indecision, as part of you might feel you should be more involved than you are. Priorities may be hard to decide upon, but if you scrutinize things, you’ll see what’s the best choice. Excess spending or borrowing can be an issue now. Take steps to wind down, which becomes more natural as the day progresses. 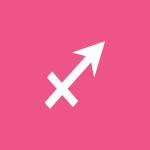 A Vesta-Uranus influence suggests a hard-working attitude works for you as you lead the way. Your ideas are unusual and innovative yet also marketable. Progressive methods in your work can be successful. Do keep in mind, however, that Mercury turns retrograde tomorrow, and brand new initiatives are not advised for now. 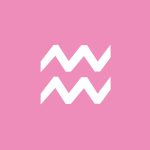 You’re in good shape for attention to (and understanding of) your inner world, feelings, and close relationships now, dear Taurus. You’re willing to put in the work if it means you’re handling problems related to your emotional attachments, financial intricacies, or power dynamics in your relationships. Keep in mind that Mercury is about to turn retrograde, and work on projects already in progress makes the most sense now. The Moon is in your sign all day, and you may feel like pampering yourself. While you can feel some restlessness as the Moon opposes Jupiter, it’s best to avoid the temptation to overdo or overindulge. Excess has a price even if the payment is deferred. You’re better off keeping things even and smooth now so that you don’t start off at a disadvantage later. The Moon continues to spend time in the sign just behind yours, dear Gemini, pointing to a need for reflection and a bit of anonymity before busier days ahead. Tomorrow, the Moon will enter Gemini, and you’ll be excited to pull out of your shell. Today is best used to unwind, take things easy, and release tension. Circumstances may seem to point to the need to balance your life, particularly when it comes to working and resting, or attending to physical needs and paying attention to your emotional needs. 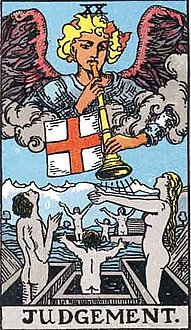 Despite your requirement for downtime, today is potentially excellent for connecting with a friend or partner and getting something valuable done. Depending on someone, or coming through for someone, can be in focus and satisfying today. A Uranus-Vesta aspect influencing the day is excellent for progress with your work, chores, or duties, dear Cancer. It’s a time of updates rather than big changes, and this suits you well! You’re willing to put in the effort now. The Moon spends the day in your sector of dreams, wishes, causes, happiness, and friendship, and highlights the need for lighthearted activities. Relationships also deserve a light touch, although there may be a bit of drama in your social life today. Creative solutions to any problems that might emerge now are ripe for the picking. 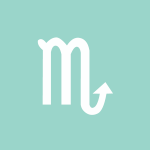 Mercury retrogrades tomorrow, and it makes sense to defer big decisions for later. 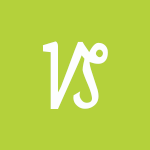 Today’s Moon in Taurus encourages and rewards simplicity, dear Leo. The Moon’s opposition to Jupiter this afternoon, though, can tempt you into thinking you should “do it all.” Instead, consider musing about your goals and keeping your responsibilities in mind as you take it easy. Avoid pushing yourself or projects. This is particularly important with Mercury heading towards its retrograde station tomorrow. You’ll be in the best shape if you take time to relax and center yourself now and pursue your ambitions later. Mercury’s retrograde starts tomorrow and lasts until mid-April, and while it’s a useful time for editing and reviewing, the shift itself can be disorienting. A Uranus-Vesta aspect influences the day, dear Virgo, and is excellent for motivation to make improvements in your life, particularly regarding your relationships, emotional growth, living conditions, and home. It’s a fine time for domestic developments as well as a supportive atmosphere at home or with family. The Moon spends all day in your sector of adventure and spirit, which harmonizes with your sign. The Taurus Moon tends to reward simplicity and patience. Try not to fall prey to the idea that you should force a decision on a matter. As well, watch for getting lost in a sea of information with so many choices that you forget your priorities. Tomorrow, Mercury turns retrograde, and with the shift, there can be some confusion or mixed signals to deal with. Mercury will turn retrograde tomorrow, dear Libra, and the weeks ahead are better used for review and editing work in a general sense. Today’s Uranus-Vesta influence can help fuel your desire to make improvements, particularly regarding your relationships, studies, and projects. Collaboration with others can be successful now, but it’s better not to make bold statements since signals may be crossing today and tomorrow. Today’s Moon-Jupiter opposition can tempt you to overspend or overdo indulgences. However, for much of the day, the Moon in Taurus encourages and possibly even rewards simplifying your life in crucial ways, particularly on emotional levels. In truth, if you want to treat yourself, streamlining is the route to take since it comes with less guilt and consequences. Today, the Moon is in your opposing sign, dear Scorpio, and after opposing Jupiter in your sign, is void. While you can be tempted to push your agenda, it’s better not to push yourself, anyone, or anything. Instead, letting your imagination lead the way makes sense, and paying extra attention to a significant someone’s plans or needs can be rewarding. Mercury is about to turn retrograde, and this is another sign that taking it easy is best. The retrograde period, spanning from tomorrow to mid-April, is good for returning to past projects and for editing and review work, but the shift itself can be a little disorienting. Fortunately today, a Uranus-Vesta aspect fuels your motivation to make updates and changes, mainly related to your health, work, and financial affairs. Vesta in your sign forms an energizing aspect to Uranus today, dear Sagittarius, motivating you to pour your considerable energies into interesting projects and endeavors. Mercury is turning retrograde tomorrow, and what’s begun today may not have staying power, so aim to focus on in-progress or older projects. You’re in great shape for demonstrating your unique qualities, talents, and commitment now. You are balancing responsibility and recreation evenly, or combining them in creative ways. The Moon in Taurus today encourages simplifying your life in crucial ways, particularly related to your work and health pursuits. If you try to push things, you’re sure to feel some resistance. You can be highly motivated to shine in your routines, work, or daily affairs, but the need to strike a balance is real. 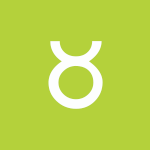 The Moon spends the day in the sign of Taurus and in harmony with your sign, dear Capricorn. This also means the Moon is transiting the area of your solar chart that rules entertainment, self-expression, joy, and creativity, and your needs for these things are highlighted. There is a somewhat stubborn quality to the day’s energies regardless, and you may have trouble adapting or deciding on which path to take or which urge to follow. It may be best to enjoy some release of ambitions, tension, or pressure now. With Mercury about to turn retrograde (its retrograde cycle begins tomorrow and spans until mid-April), you benefit from taking things slowly and cautiously. As well, you’re in good shape for seeing areas that can stand improving, mainly related to home life. The Moon spends another day at the bottom of your solar chart, dear Aquarius, and you’re in good shape for concentrating on your home life or inner world. The Moon does brief battle with Jupiter, and Jupiter seems to be tempting you to go big. 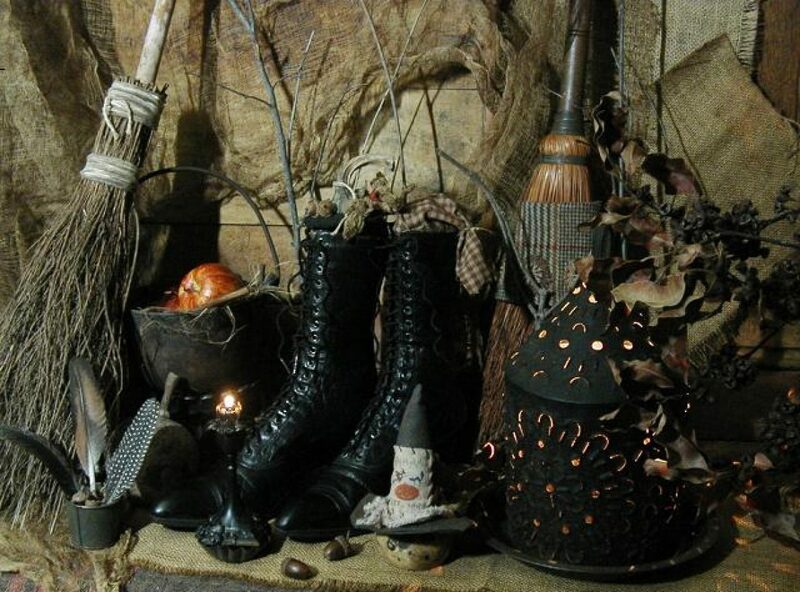 While the draw can be substantial, the Moon is void for the second half of the day and Mercury is moving into a retrograde station, and these things make it difficult for new pursuits to get off the ground. Play things safe today for best results. However, you can also tap into a Vesta-Uranus influence that motivates you to work on projects and pursuits that you love. Others appreciate your commitment or work ethic now. 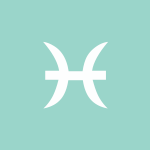 Today is better for rest and comforting, emotionally centering activities, dear Pisces. While your ideas are fabulous, particularly regarding practical affairs like business, money, and work, it’s best to let things set in before running with them. Applying yourself to your work comes more naturally to you now, and your ideas find satisfying outlets, but pushing things forward is not productive at the moment. Mercury will turn retrograde tomorrow, and while the retrograde period is excellent for rethinking certain endeavors and making improvements, the shift itself today and tomorrow can generate some confusion. Observe and reserve judgment. Talented, charming, and likeable, you have such a pleasing manner that you can get ahead in life simply through connections. However, you are not afraid of work and you are terrified of instability. As such, you do whatever it takes to make your life secure, and you have a strong business sense. Your talents are multiple, and it can be hard to find a solid path in life simply because you have so many choices. You have an excellent memory, especially of people. Famous people born today: Matthew Broderick, Rosie O’Donnell, Johann Sebastian Bach, Timothy Dalton. The Moon moves into your sector of communications and transport today, dear Aries, but Mercury turns retrograde in your sign, complicating these very things! Mercury will retrograde until April 15th, spending the duration in Aries. This period is best used for reorganization and reflection. You are looking at the world a little differently–through different filters–and can come up with some significant inner revelations. It may be difficult to communicate them under this influence, but we don’t have to make sense of or rationalize everything. This is a time of heightened inner awareness that favors meditation, reworking old plans, and reviewing past work. Some personal initiatives may stall or appear to move backward but can benefit from some refinements. You may not be understood as well as you usually are, and should take a little extra time making sure you’re clear in your communications. 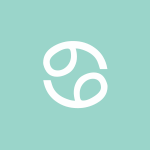 The Moon moves out of your sign and into your resources sector today, dear Taurus, and you’re in great shape for settling in and getting comfortable. In fact, you may not feel like venturing far from the routine now. Mercury turns retrograde in your privacy sector today, and this cycle turns your thought processes inward. Some of the decisions made and projects started in the last couple of weeks can come up for review. You may find that you are less able to rely on your intuition, and both inner and outer “signals” are difficult to read, until you recognize that you are looking at things in entirely new ways during this cycle that lasts until April 15th. It would be wise to be especially clear when it comes to communicating about your inner world now. You can quite easily put your foot in your mouth, or reveal something that you’d prefer to remain hidden. It’s a good cycle, however, for redoing and refining work that is already underway, for journaling, and for backtracking over the past to find answers that were previously overlooked. The Moon moves into your sign today, and you’re beginning a new lunar cycle, dear Gemini. Your emotions are on the front burner. In fact, you may recognize feelings that you didn’t realize you had today. Your ruler, Mercury, turns retrograde today, and this begins a cycle, lasting until April 15th, in which it’s especially favorable to look to the past, make refinements and edits to projects, and rethink problems from a different perspective. However, with the changeover now, there can be some level of chaos to deal with today revolving around communications that are misunderstood, lost, or overlooked. Mercury is spending its time in your sector of friends and dreams at this time, and this emphasizes your communications with associates, groups, and friends. Old acquaintances or friends may appear during this cycle, or you may decide to reconnect with an old friend. 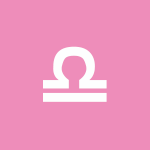 The Moon slips into your privacy sector today, dear Cancer, and you may feel the need for some quiet or private time. A break from the usual routine is in order. Mercury stations retrograde today, and while this cycle can be beneficial for going over in-progress projects and discovering new ways of looking at old problems, the shift today can feel a little chaotic or confusing, particularly on a professional level or with business matters for you. Be clear in your communications or consider waiting out decisions and statements until you are clear-minded. Plans drawn up today may never come to pass. Matters from your past might be rehashed or recycled and circulated in the coming weeks (until April 15th). Some delays related to your career, professional dealings, or long-term plans are possible. It’s an excellent period for refining projects that are already underway and very helpful for turning your attention to issues that you might usually overlook. It’s a good time for review, but not the best period for clear-cut answers. 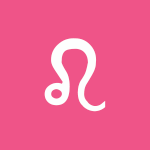 The Moon slips into your friendship and happiness goals sector, dear Leo, and for a couple of days, you crave a more connected feeling with friends, causes, groups, or your community. Today,Mercury turns retrograde, launching a cycle that lasts until April 15th that’s strong for review, refinement, and editing work. It can be a time to catch your breath and process things, allowing your feelings to catch up with your mind. There can be some need to review legal, educational, or travel matters. Publishing efforts may require some editing before moving forward. Take care when it comes to presenting ideas, writing, and detail work. You may not be seeing the whole picture, but you could be looking at things from a new perspective. You may even decide to return to studies or personal interests that were put on hold or otherwise fell off the radar. 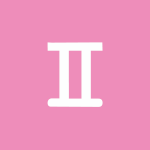 The Moon’s move to the top of your solar chart today suggests a need to consider long-term plans or career matters, dear Virgo. Your ruler, Mercury, turns retrograde now and will remain retrograde until April 15th, presenting you with opportunities for doing research, refining plans, and personal introspection. You may be dealing with some confusion or delays related to financial commitments and shared resources, and possibly an intimate relationship. There can be value in slowing down and considering past successes or misses so that you can better understand the present. You may do some thinking about previous partners, or someone from your past may be thinking about contacting you. It’s better to budget than spend or borrow during this period. Mercury turns retrograde today, dear Libra, and will continue its retrograde cycle in your partnership sector until April 15th. It might come to your attention that some of the things you’ve recently started or communicated need some touching up. This is a helpful process, even if it may seem like you’re backspacing now. You are likely to be seeing a relationship from a different perspective in the coming weeks. Give others space and give yourself time to arrive at conclusions or decisions. Communications can be muddled, or questions left hanging for the time being, but delays can also help you to understand your situation better as you see details you may have missed in the past. Previous partners can figure strongly during this cycle, whether this remains only in your mind or not! Mercury turns retrograde today, dear Scorpio, and this can serve to sway your thinking and change your mind about recent decisions. Think in terms of review rather than pushing forward something entirely new, however. Mercury’s retrograde lasts until April 15th, and during this cycle, it’s better to slow down and attend to those things you may have rushed in the past. It’s also a time for seeing things from a different perspective. This retrograde cycle occurs in your work and health sector, and there can be some rethinking, delays, or editing related to health, work, and daily routines. You may be waiting for an answer on something that can be irritating, but that can also lead to creative workarounds. Work-related mix-ups can frustrate you, or you might need to redo work that you thought was complete. However, you might find that the refinements you make now will be very valuable later. Mercury turns retrograde today, dear Sagittarius, and this is a time for slowing down, taking stock, and reviewing in-progress projects. You may be dealing with delays, questions that are left hanging, and miscommunications during this cycle that lasts until April 15th. However, it’s also a period for reviewing whether decisions you’ve recently made are still viable. Particularly during the transition today, communication breakdowns are possible. Mercury spends the full retrograde cycle in your sector of romance and creativity, and while some projects or processes may seem to be moving backward, you might think of it as a realignment process. You are thinking and expressing yourself in different ways that can work in your favor. There may be the need to revisit old issues in your relationships. People from the past tend to come back, or they are mental/emotional focus now. It’s a good time to revisit old creative projects or ideas that you didn’t have time to pursue or complete. Mercury begins its retrograde today, dear Capricorn, and this cycle can help you see matters from an entirely different perspective, particularly your emotional life and issues related to family and home. This cycle lasts until April 15th, and while past errors can crop up, you may want to take advantage of the time afforded you through delays to reevaluate what you are doing. You could find a mistake or an inconsistency that needs correcting. Communication with family may not always be as straightforward as you’d like, or there can be some level of chaos or mechanical problems around the home that require your attention. New initiatives may not be wise at the moment, but reworking and reorganizing your home can be especially fruitful now. Today, be exceptionally clear if it’s important to get your message across. The Moon moves into harmony with your sign today, dear Aquarius, and you can feel a little more comfortable in your skin — and quite playful, as well! Mercury turns retrograde today, however, and while it’s shifting directions, there can be some mix-ups or misunderstandings to manage. During this cycle that lasts until April 15th, matters related to studies, transportation, and basic communications can involve some delays, reworking, or editing. Be flexible and vigilant about marking essential appointments and errands on your calendar. There may be the need to revisit old, unresolved issues with siblings, classmates, or neighbors, and there could be mechanical issues with communication and transportation devices that prompt some rethinking of how you connect and get around. Through these experiences, you might discover new ways to express yourself — ways that wouldn’t have come to mind otherwise. Get all the facts before you jump into something today. In the weeks ahead, reviving old projects and reviewing and revising work already in progress can be especially fruitful. The Moon moves to the bottom of your solar chart today, dear Pisces, and you’re encouraged to get in touch with your inner world and nurture your closest relationships. With Mercury retrograde from today until April 15th, there can be a change of mind or interest, possibly even a bit of regret when it comes to those things said or begun right now and recently. 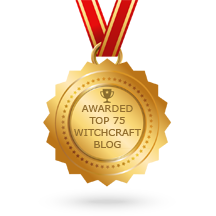 This retrograde occurs in your sector of assets and there may be the need to review your finances or budget, or you could be dealing with lost or misplaced possessions. Take the time to re-think your sources of income and how you spend your cash during this period, but put off finalizing anything significant for the time being. In fact, some money-making ideas or ventures may be put on hold due to circumstances beyond your control. Come at old problems from a new direction or perspective and open your mind to new ways of thinking and new approaches. This is a good period for looking to the past for answers to current problems. Judgment embodies those forces which require us to be accountable for our actions. With Judgment truths are revealed, mysteries are unraveled and responsibility is assigned. Judgment unveils outcomes and marks the ends of things. While it is a time to properly place guilt, it is also a time for atonement and forgiveness. Ultimately the process of Judgment should lead to freedom from errors made in the past and a fresh start with a clean slate. To that end Judgment actually promises the start of a new journey on which we can apply what we have learned from our past. Do some magic of your own today, like penetrating facades and gaining insights into dubious stories that lack credibility. Hold onto your heartstrings until you know you haven’t met a fickle flirt or a trickster. 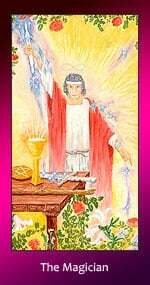 The Magician makes us see what we want to see regardless of the reality of a situation. He draws us in because we love secrets and mysteries, but who wants to live with them day after day and year after year? When you stand up for other’s rights you can stir deeply-seated past life memories in yourself. The origin of these feelings might come from having a past life experience of your own family’s struggle. At this time the civil rights leader inside you has come to the forefront. This spirit is more afraid of not standing up for what he or she believes in then fearful of what retribution one could face. This incarnation comes with an inner strength that is founded in compassion. The Crystal glows with the power of mystical truths transformed into material realities. The Crystal denotes a self with a powerful connection to the spiritual world that allows them to literally soak up cosmic wisdom and apply it favorably to their everyday life. It suggest a tremendous growth of one’s spiritual self that will greatly impact the querant’s secular life. As a daily card, The Crystal indicates a time when you are likely to be well served by allowing your spiritual self to guide your day to day behavior. Life is a bit hard to piece together lately if you’ve drawn out a 3 in opposition like you have now. Jigsaw puzzles can be fun and relaxing. They help pass the time. It is messy when your life is in a thousand pieces. You have pieces missing, so the picture is incomplete. Change your diet. Drink more water, detox, exercise. Do some breathing techniques, journal. Confide in a good friend about your challenges. You are overdue for a purge of the toxins in your life. You will find what you need in unexpected ways.